Our vast experience and in-depth knowledge have assisted us in presenting a huge range of Phosphor Bronze Wire Mesh Or PB Mesh. Our offered range of Phosphor Bronze Wire Mesh is manufactured from the high-quality raw materials that add durability and efficiency. Each product is strictly tested under the vigil of quality control inspectors to ensure flawless product range is delivered to our clients. We are committed for the time bound delivery of our assignments. Indo German Wire Screen specializes in stocking a wide range of popularly requested bronze wire meshes, most notably the standard or market grades. Indo German Wire Screen also maintains the capabilities to weave countless other options. Be sure to contact us with your specific requirements. 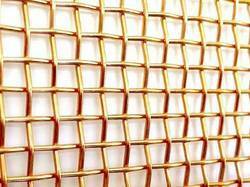 When discussing the weaving process for bronze mesh, and specifically, fine bronze mesh, there is an important distinction to make. Due to the intricacies of weaving fine meshes, there are times where commercial bronze wire mesh is no longer an option and phosphorous bronze wire mesh must be used to weave. 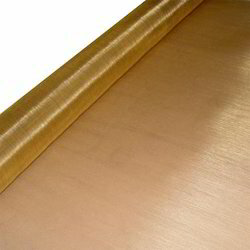 We are one of the leading manufacturer and supplier of Phosphor bronze wire mesh.We obligated to meet the quality standards as per the customer demand. Looking for Bronze Wire Mesh ?